Jewelry is expensive, and you want to keep it looking just as amazing as the day you bought it. 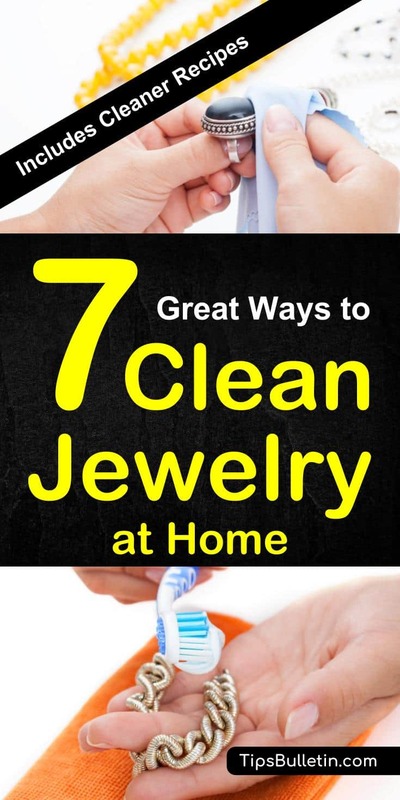 The good news is that you can keep your jewelry sparkling and shine with things you already have at home. There is no need for expensive jewelry cleaners to maintain your jewelry. A little time and getting the right ingredients together is all that is necessary to ensure that your diamonds shine and your gold radiates. Most people use ammonia to clean their floors, but it also works well to clean diamonds without harming them. Take the fourth cup of ammonia and one full cup of warm water and mix them in a jar or a bowl. Place your diamonds into the jar or bowl and allow them to sit for about 15 minutes. After your jewelry soaks, take a soft-bristled toothbrush and gently scrub the jewelry to remove any grime that remains. Make sure to get into the setting and crevices on the piece because grime and dirt can stick in these areas. After you are done the cleaning, just rinse the piece with plain water and use a soft cloth to dry it completely. 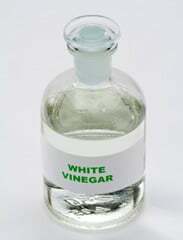 Vinegar can clean just about anything, but it is especially great for gemstones and gold. You want to use white vinegar and not any other kind, so make a note of this. Just pour white vinegar into a jar or a bowl and use enough to cover the jewelry you are cleaning completely. Dusting a bit of diatomaceous earth of your jewelry will prevent it from tarnishing. Allow your jewelry to soak for about 15 minutes and move it around every couple of minutes to agitate it. Once it is done soaking, take a soft-bristled toothbrush and gently scrub your jewelry to remove residue and stuck on grime. Rinse with plain water and then dry it completely. Toothpaste is a very effective jewelry cleaner, and this is a great option when you want to clean up your jewelry on the go. Take a tablespoon of warm water and an inch of toothpaste and mix these together for a loose paste. This is mildly abrasive, so it works direct and grime off of the jewelry, and you can combine it with a soft-bristled toothbrush for extra scrubbing. While toothpaste is mildly abrasive, it will not scratch your jewelry. Rinse well once you are done. Not all jewelry can be boiled, such as delicate gemstones, but solid gold can be. Make sure that nothing is glued on and that the gold is not cold before putting it into boiling water. This is best left for those pieces that are not cleaned by anything else. Place your jewelry into a bowl and slowly pour the boiled water over it and keep pouring very slowly until the jewelry is fully covered by the water. 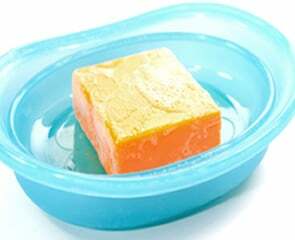 Allow this to sit until the water cools and then gently scrub each piece with a soft-bristled toothbrush. Dry thoroughly once you are done. 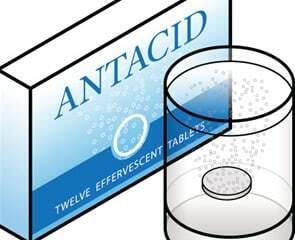 Those antacids you take for heartburn can also work to keep your jewelry sparkling clean. You want to use the antacids (just like witch hazel) that work as an effervescent solution because the fizzling and bubbling work to clean the jewelry. Take a glass of warm water and put two tablets into it and allow it to get fizzy. Place your jewelry into the glass and let it sit for a couple of minutes before removing your jewelry. Once done, simply rinse your jewelry and gently dry with a soft cloth. Tarnished silver jewelry responds well to aluminum foil. 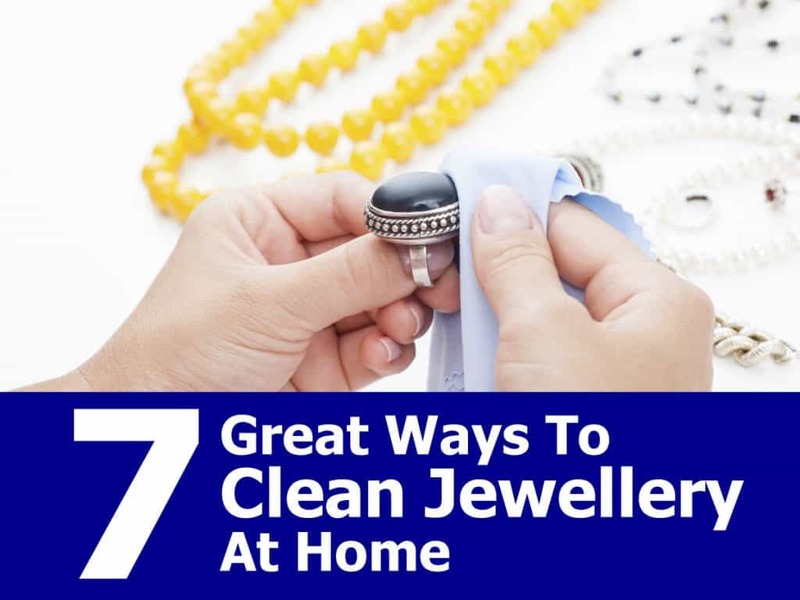 It is the perfect way to clean silver at home. 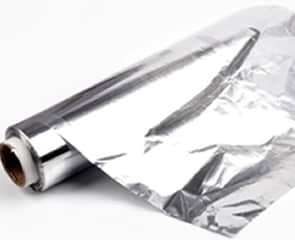 Take a tray and line it with a clean piece of foil and then spread your jewelry out on the tray. Take some baking soda and sprinkle it onto each piece of jewelry so that each piece of mildly coated. Next, boil a few cups of water and then gently pour this onto the jewelry with the baking soda on them. The purpose of the foil is to collect the tarnish from the jewelry because it picks it up and off of the jewelry. Use this technique together with a good homemade jewelry cleaner and your silver will shine again. It is a good idea to do one side of your jewelry, turn it over and then do the other side so that it is evenly clean. Once you are done, use warm water to rinse well and then gently dry it. Good old-fashioned soap and water works well on jewelry like it does on everything else to remove dirt and grime. This is ideal for stones that are porous and soft, such as turquoise or pearls. Simply combine two cups of warm water and about three drops of gentle laundry detergent or dish soap. Quickly dip the jewelry into the solution and then use a soft cloth to gently wipe and dry your jewelry. Before storing your jewelry, make sure to allow it to air dry for the day because you want it completely dry first. Of course, there is always the commercial alternative by using a great jewelry cleaner. On their list of best cleaning products, the experts of tipsbulletin.com did a very detailed review on jewelry cleaner wipes here. A good read worth checking out.